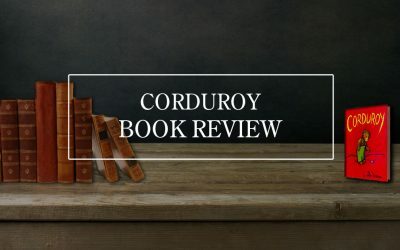 Every now and then a book is written that takes words and turns them into phrases, takes phrases and turns them into paragraphs, takes paragraphs and turns them into stories, and takes stories and turns them into fairy tales. It is these fairy tales that become so cleverly crafted they remain children’s favourites through generations – classics that take children and adults on adventures. The Grumpface is one of these fairy tales. It shows true courage in the face of adversity and encourages children to be no one more then themselves. This fairy tale is a classic in the waiting and one that will be passed from one generation to the next with fond memories and imaginative adventures. 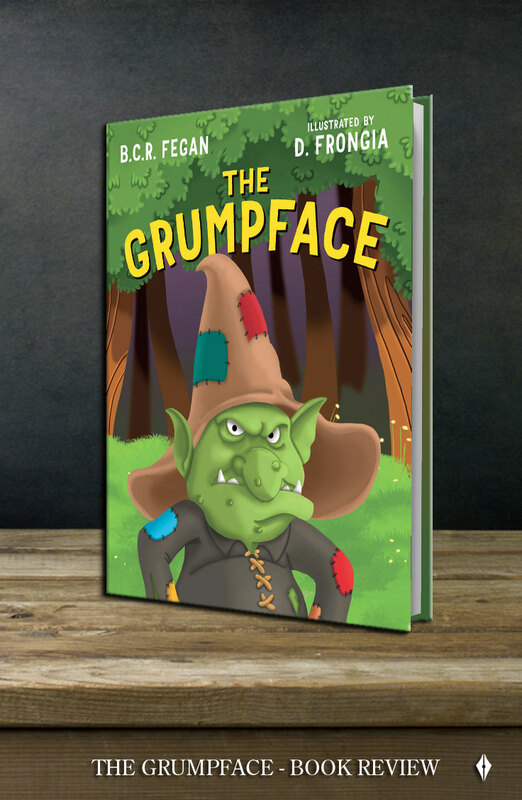 The story begins by introducing a troll-like character named ‘Grumpface’ who was placed under a curse for grumping at a wizard. 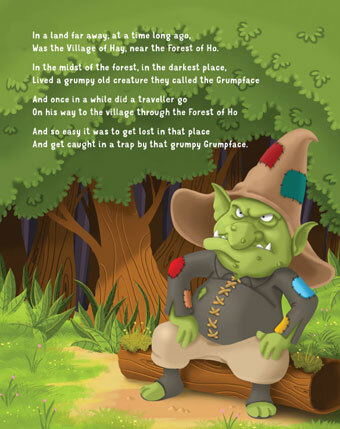 This grump lives in the Forest of Ho capturing those who dare to venture through it and placing a set of tasks before them; if they are able to complete a task set by the Grumpface they can go free, but if they cannot, they await a very different fate. Dan, from the nearby village of Hay, sets out to impress the girl of his dreams with a rose from the Forest of Ho but instead finds himself staring into the Grumpface’s eyes. 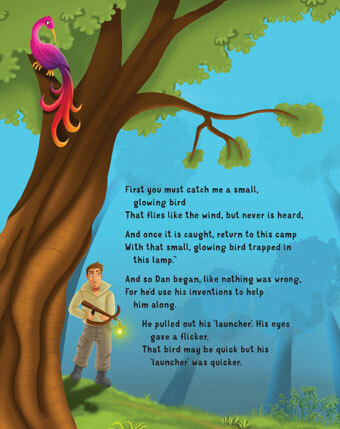 The first intriguing aspect of the story is that it is written in rhyme. The poetic nature of this book makes it read with rhythm and flow. 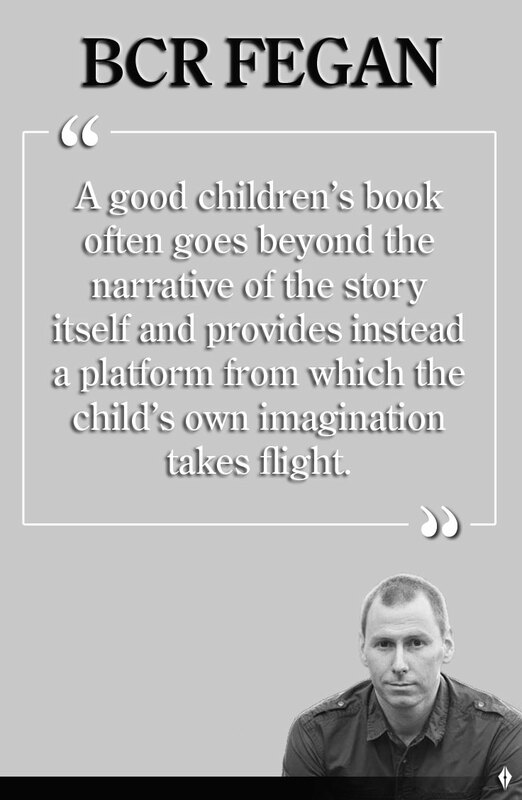 Children’s books are often not written this way, so does this add or detract from the story? Naturally, the rhythmic nature of the story indeed captures children’s attention more successfully as demonstrated by Dr Seuss’ numerous poetic narratives. This form of writing means sentences are not dragged on for too long while disengaging children. Nor do they become too complex for children to follow. Further, this writing style allows children to recognise rhyming words better and increases their vocabulary of these words. Therefore, it is clear that this poetic style successfully communicates the narrative to all readers both children and adults. While it is easy to view the Grumpface as an unforgiving character, it is also interesting that he still gives trespasses an opportunity to go free if they complete a set task – although proven most difficult to complete. This idea is fascinating in comparison to most other stories that portray a villain as graceless; however, the Grumpface shows a small amount of grace in this act. Perhaps Fegan is showing readers the human attributes of the Grumpface by demonstrating a certain amount of similarities in forgiveness. Further, this form of forgiveness is very consistent with humans, seen as forgiveness with conditions as the Grumpface will only allow Dan to go free if he completes a set task. Another curiosity is the uncommonly optimistic nature of Dan. Dan is an inventor in the village of Hay, a job that requires patience, persistence and an uncanny ability to think outside the box. However, while all of these traits should prove most fitting to complete the tasks set by the Grumpface, it is Dan’s ‘dafty’ nature that helps him in the end. It was also very refreshing to have a story built around such a character as Dan. He tried his hardest to complete each task but it was not his abilities that made him succeed, rather his outlook on life. The final curiosity relates to, or the lack thereof, an unrelenting focus of today. Much of the news nowadays is built on egalitarianism, whether it is feminism, gay rights, racial equality or religious equality. The Grumpface becomes so enjoyable to read because it takes the traditional approach of a classic fairy tale. It is easy to get lost in the story as it does not focus on any modern day distraction as so common in our lives. It feels like these days every story and film has to have complete political correctness or else they will be brutally criticised and mocked. By putting aside the focus of political correctness the story is able to teach important lessons to those children reading it. Fairy tales of the past do this very well. They have lessons behind the enjoyable narratives that can teach children almost subconsciously. For instance, The Three Little Pigs teaches children to build upon a solid foundation, Little Red Riding Hood teaches children that there may be some people in life they cannot trust, and Cinderella was always kind and gracious to everyone, even if they did not show kindness to her. Therefore, it is important to delve deeper into the Grumpface to discover the true meaning of the story. Dan begins the story in a situation many males are faced with – the expression of ones love for a girl. Dan dreams of one day inventing something so amazing it can impress Bella, the girl of his dreams. Simply speaking to her is not an option for Dan as he believes she will just ignore him. This dilemma is not an uncommon one but perhaps the avoidance of this problem has certain parallels to everyday life. Often, when faced with an uncomfortable situation, people will think of ways to make the situation easier to face, which is the logical thing to do. However, like for Dan, this can result in further problems. Sometimes when people try to solve one issue they end up finding themselves facing a larger issue than what they started with. It could be argued that if Dan simply went and talked to Bella he may have never needed venture into the forest in the first place. Nevertheless, he made his decision at the time based on what he thought was best so as not to be ignored by Bella and never having a chance of talking to her again. Interestingly, this act of impressing a female may seem, at first, more applicable to adults and perhaps teenagers, but not children. However, children are well aware of acts of love and kindness at such a young age and would have a great understanding of why Dan wanted to impress Bella. It only takes a matter of seconds to read quotes about love in the eyes of children to realise the wisdom they possess and the innocent descriptions of love as an act rather than an object. One child aged seven quotes, “Love is when you tell a guy you like his shirt, then he wears it every day”. Another child aged six states, “Love is like a little old woman and a little old man who are still friends even after they know each other so well”. 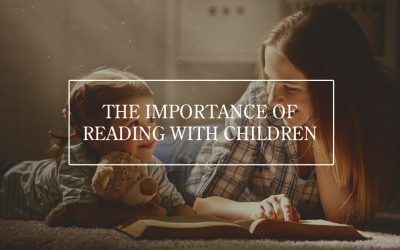 These portrayals of love are what children learn from a very young age from society, including their family, friends, school, general community, books, television and internet. Children grasp a lot growing up and they are continually absorbing their surroundings. Therefore, it is crucial that what they are exposed to is a healthy description of reality. This dilemma in the Grumpface is an accurate, yet romantic situation that Dan faces while trying to express his feelings for Bella. So, the lesson from this aspect of the story proves a positive one for children and adults reading it. This initial problem for Dan quickly grows into a more pressing issue when he is faced with the Grumpface. Suddenly his life becomes endangered and Bella, one would think, would be the least of his worries. However, this is not the case for Dan as he finds strength in the hope that one day he might see Bella again. 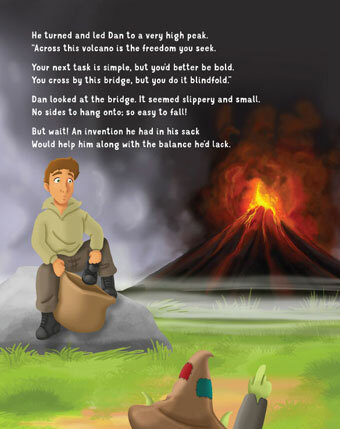 The intriguing idea that perhaps the Grumpface did have some compassion in him as he gave Dan a way to go free soon dissolves as the tasks seem almost impossible. Yet, Dan never loses hope in spite of the struggles he faces and shows readers how to endure hardships by maintaining hope in something. The story takes a humorous turn, however, as Dan’s eccentricity proves a most useful resource during his obstacles. While faced with rare birds, volcanos and caves, three interesting, yet common fears are unveiled. Firstly Dan is faced with a bird; however, this does not represent one of the three fears focused on in this analysis. It is unclear why the author used a bird to represent an obstacle but the task is, nevertheless, a very difficult one. The second task represents the first fear and one of the most common fears known to man and that is the fear of heights, or acrophobia. Having to overcome such an obstacle where one’s life is endangered builds the notion of an extremely difficult, and indeed life-threatening, task. The second fear is that of darkness, or nyctophobia. This fear is very relatable to the vast majority of children and even many adults. It represents the fear of the unknown where one is not able to see what is in front of or behind them. The last fear is one not defined by a task in the Grumpface but it clearly is represented by Dan’s emotions – the fear of failure, or atychiphobia. This fear is driven by his longing to see Bella again and the hope possessed by this desire. The fear of failure is the most common fear as failure shows weakness that is greater than a rational dislike for something; however it can often act as a driving force for success. These three fears are demonstrated by the tasks in the story and require inner strength as well as a bit of daftness to overcome. Living in the tame village of Hay means Dan’s true courage and strength is only revealed when he is placed in a difficult circumstance. Not only that, but all his inventions never seemed to work out. Perhaps it was this life-threatening experience that Dan needed to discover his potential. Perhaps he learnt a little bit more about himself than he expected. 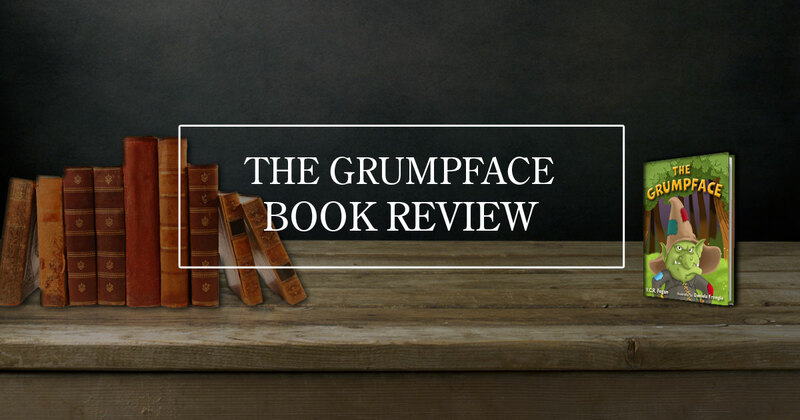 The Grumpface is truly a well-crafted story full of humour and encouragement. 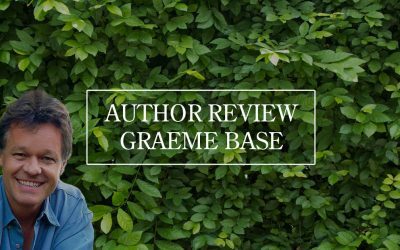 It takes readers on an adventure by overcoming fears in the face of adversity while pursuing a wonderful journey of self-discovery. So, like all the classic fairy tales, what can we learn from this story? What is the lesson that our children will consciously or subconsciously take away? Just like Dan, we often have to make decisions and live with the choices we make. Sometimes we may feel we have made the wrong decision. Sometimes we may discover a more logical decision that would have been better at the time. Nevertheless, the decision we make might just turn out to be one of the best decisions of our lives. Even though we may face hardship and failure, it is the pursuit of the challenge that determines our success; our positivity in the midst of adversity, our courage in the midst of fear, and our humour in the midst of grump.